Looking for entertainment in Ellsworth? 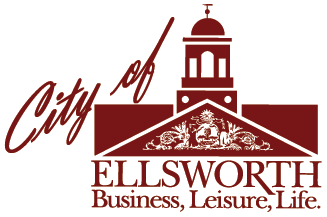 Check out what’s going on in the locations listed below or visit the Chamber of Commerce Calendar or the Ellsworth American Calendar to see a listing of events throughout the community. The Ellsworth Historical Society is a group of volunteers dedicated to preserving the history of Ellsworth. Membership is open to all. The Ellsworth Public Library is located at 20 State Street, downtown, on the banks of the Union River. Whether you are a resident or visitor, stop by to take advantage of all of the great resources it offers. The YMCA offers programs for all ages, childcare and events throughout the year. A historic performing arts center located in the heart of Downtown Ellsworth. Offering live from the Met, children’s performances, live theater and movies. Provides a glimpse into the social and domestic conditions of the 1800’s as well as an interactive museum for many events and organizations. The grounds include miles of walking paths, it is Ellsworth largest park. Open year round. This facility is a gem in the middle of the City, consisting of 157 acres of land, four miles of walking trails, a museum and many species of birds. Home of the Ellsworth Marina with summertime events including concerts in the park, a boat dock and slips, picnic tables, and a fabulous display of wildlife. Providing free outdoor movies by Under The Stars and Ellsworth Arts, in Knowlton Park. Weekly performances during the summer months at Harbor Park & Marina on Water Street. Contemporary and period Maine artists in a beautiful historic space listed on the National Historic Register. Ellsworth boasts a variety of dining options. From locally owned lobster pounds and seafood restaurants, to a diverse selection of International and American cuisine.